Lovely shot. The angle is the classic one, seen in many photos, but the black and white adds some extra interest to the photo. 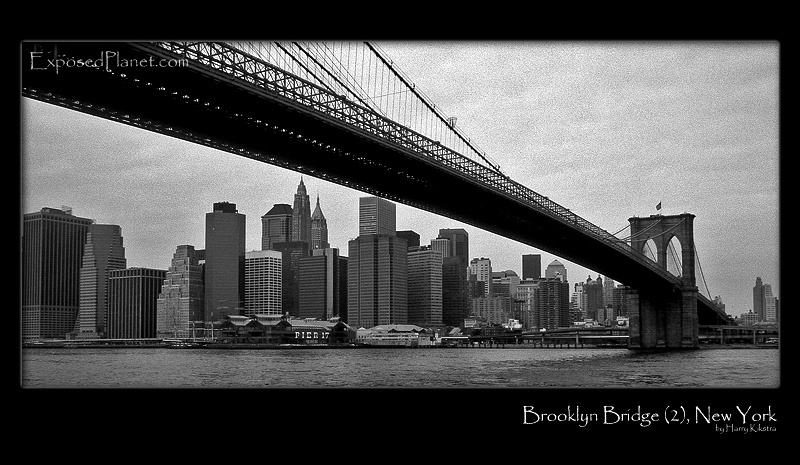 The story behind "Brooklyn Bridge and Manhattan from Brooklyn"
As you can read in my commentary to my other picture of the Brooklyn Bridge, I really enjoyed seeing it. I just had to try to recreate this classic shot, though of course in the original there were two huge Twin Towers. This was 6 months after the brute attack, shot on B&W slide film with Canon Eos 3, scanned later.